Your attic is a major part of your home. It is a hot, dark humid environment. It’s also a place we like to store or save certain items of value, sentimental or otherwise. The square footage of a crawl space of a home in Florida is similar to the square footage of a basement of a northern style home. For the most part they run the full length of the home. The only difference is that up north the homeowner is constantly going into their basement. If there is a problem or a concern, it would be immediately noted and corrected. When was the last time you were in your attic? 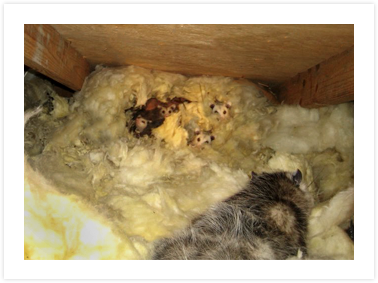 Our attics and crawl spaces are an ideal site for harboring and nesting every insect and rodent ( including possums) prone to S. Florida, and believe me, over the last twenty years I’ve met them all. Don’t you want to know what’s going on up there? Whether it’s a bee nest, rodent droppings, air conditioning problems, mold, rotting beams or just a good ole fashioned roof leak, don’t you want to know what’s going on overhead? As far as pest control goes, we believe in “Preventive Medicine.” Taking into account the climate in which we live, we found that an annual inspection and treatment of the attics and crawl spaces have been most effective for maintaining a safe and clean home environment. Not only does it help us maintain an insect free home, our inspections have saved our customers thousands of dollars over the years. To learn more about our pest control services, visit our Web site or call (954) 385-2888. Earn credits and free service with our Referral Rewards program. Thank you for your business!